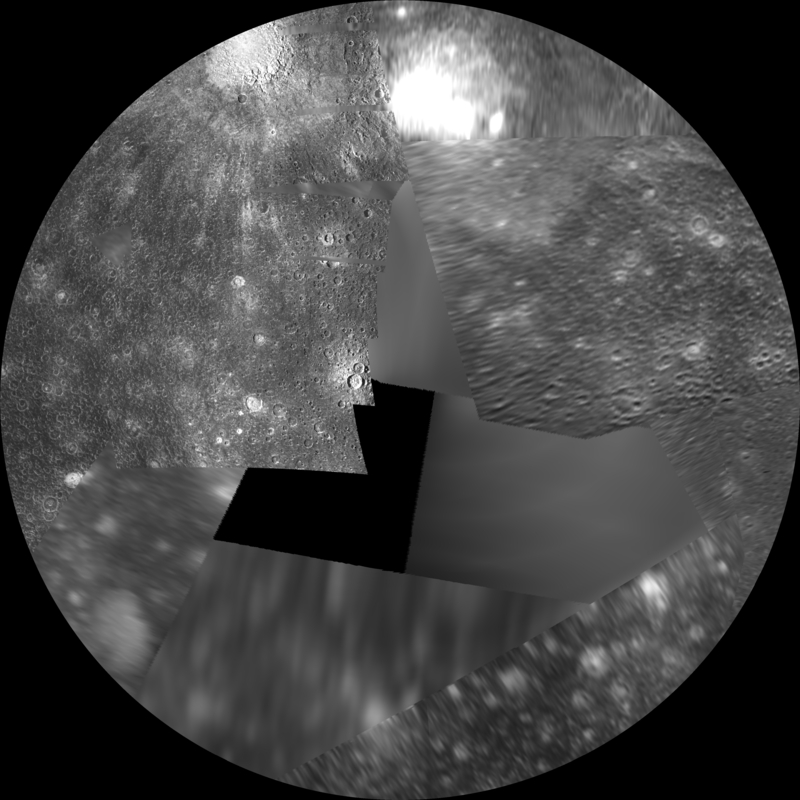 This global map of Callisto utilizes the best image quality and moderate resolution coverage supplied by Galileo SSI (Solid State Imaging instrument) and Voyager 1 and 2. The image processing was performed at USGS using the Integrated Software for Imagers and Spectrometers (ISIS) system. The image data was selected on the basis of overall image quality, reasonable input resolution, and availability of moderate viewing and sun angles for topography. The average input resolution was 1.0 kilometers/pixel. The resolution ranged from 60 km/pixel for gap fill up to 400 meters/pixel. The map projections are based on a sphere having a radius of 2409.3 kilometers.